Want to hear a little-known fact? George Washington, the 1st President of the United States, grew marijuana on his farm! He may have used it to deal with his toothaches. Here’s another: When medical marijuana dispensaries first opened in Colorado they outnumbered Starbucks three to one! As we can see, more and more states are following Colorado’s lead for medical or recreational use, which should not come as any surprise: approximately 94 million Americans have used marijuana. Clearly, it’s a BIG market. So how does the ol’ Maryjane affect your ability to secure a life insurance policy? Many marijuana users are seeking life insurance to protect their families and investments should anything unfortunate happen to them before their time. Luckily, life insurance carriers have kept up with these “high times”, and you can get a life insurance policy issued as an insured. (“The Good”). But first let me give you the lowdown on some concerns surrounding life insurance and marijuana. 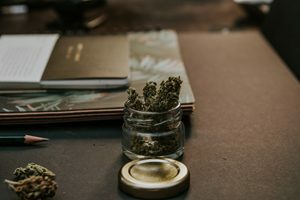 Yes, you can get approved for life even if you smoke marijuana or use it in another form, but there are additional issues to consider when compared with those who don’t use marijuana… including more expensive premiums than someone who does not smoke marijuana. A red flag for underwriters is tetrahydrocannabinol commonly known as THC. THC is a chemical compound found inside the marijuana plant. It’s responsible for bringing on marijuana’s euphoric high. If a lab test reveals the presence of THC in your blood, some insurers may view you as a cigarette smoker which means you could pay expensive smoker rates and higher premiums. Life insurance carriers commonly test for drugs (blood and/or urine) and these tests detect THC if it’s present. If you have a prescription for medical marijuana, you could still qualify for the best insurance rates, but insurance carriers will want to know what the condition the marijuana is prescribed to treat and why. If your prescription is for something significant, you will be rated based on actuarial mortality tables for that illness or disorder. Regardless of whether you smoke for recreation or medical reasons, be truthful about it…. lying could prevent you from getting insurance at all. Many proposed insureds are afraid that by disclosing their use, it will become known to their employer or even the government that they do. It’s important to remember that the Health Insurance Portability and Accountability Act (“HIPPA”) which was enacted in 1996 provides for data privacy and security provisions for safeguarding medical Information. This holds true for insurance carriers as well. If a HIIPAA violation occurs, the penalties are based on the degree of negligence and can range from $100 to $50,00 with a maximum penalty of $1.5 million per year. In addition, violations can also carry criminal charges resulting in jail time. States with legal recreational marijuana include Alaska, California, Colorado, Maine, Massachusetts, Michigan, Nevada, Oregon, Vermont and Washington State. States with legal medical marijuana include Alaska, Arizona, Arkansas, California, Colorado, Connecticut, Delaware, Washington DC, Florida, Hawaii, Illinois, Maryland, Michigan, Minnesota, Massachusetts, Montana, Missouri, Nevada, New Hampshire, New Jersey, New Jersey, New Mexico, New York, North Dakota, Ohio, Oklahoma, Oregon, Pennsylvania, Rhode Island, Vermont, Washington State, Utah and West Virginia. • Worst Outcome: If you smoke marijuana more than two times a month, the best rating you can get is Standard Tabacco. Your frequency of use will be looked at individually; and it’s possible that you will get a lower rating or even be declined. • Medical Outcome: If you smoke marijuana for medicinal purposes, your prescription will need to be verified, and you will be rated based on the underlying condition. • Best outcome: If you’re 26 or older, your final rating will be determined based on an individual consideration. • Medical Outcome: If you are 26 or older, your rating will depend on the underlying condition. • Best Outcome: Using marijuana is considered drug use, and you’re unlikely to get competitive rates. • Medicinal Outcome: Standard (Tobacco) rates apply; and your rating is based on your underlying condition. • Medicinal Outcome: You may be able to get Standard or Preferred (non-Tobacco) rates depending on the underlying condition and frequency of use. • Best Outcome: if you smoke marijuana 24 times or less per year, you may be able to qualify for Preferred (Non-Tobacco) rates. • Worst Outcome ;_if you smoke 25 times or more per year, you’ll be rated as a tobacco user and obtain Standard (Tobacco) rates. • Medicinal Outcome; Your rating will be based on the underlying condition. • Best outcome: Nontobacco rates apply for recreational marijuana users 21 years of age or older. Cases are looked at on an individual basis. • Worst Outcome: Tobacco rates or declined if you are a heavy marijuana user or if other drugs are used. • Medicinal Outcome: If marijuana usage is via inhalation, tobacco rates apply. If it’s not inhaled, Standard Tobacco is your best available option. • Best Outcome: Plus (Non-Tobacco) ratings available to users who some marijuana up to three times per week. Must admit to using marijuana during application. Positive THC in urine does not affect this rating. • Worst Outcome: Declined application if you smoke more than seven times per work. • Declines application if you do not disclose marijuana usage on your application and THC is in your blood. • Medicinal Outcome: if prescribed by a physician, you will be rated based on the underlying condition. • Best_ Outcome: Non-Tobacco ratings apply for very rare marijuana use and with full admission. • Worst Outcome: _Tobacco ratings apply based on marijuana. You may be declined for heavy usage. • Best Outcome: Tobacco ratings based on your marijuana usage with no criminal or drug abuse history. Must admit to using marijuana on the application. • Medicinal Outcome: Tobacco ratings will be based on your usage. • Medicinal Outcome: Prescription required Standard (Non-Tobacco) rating available if you smoke marijuana up to 12 times per year. Tobacco rating if 13 or more. • Best Outcome: Standard (Non-Smoker) rates are available for marijuana users who smoke three times of less per month. • Medicinal Outcome: Rates are based on your underlying condition, but typically they are Tobacco ratings. What is the difference between CBD and THC and what are the benefits of the use of CBD? There’s a new survey that shows CBD Users use less pain pills because of the positive effects of Cannabidiol, also known as CBD. The compound is another component found in the cannabis plant besides Tetrahydrocannabinol (THC). The most striking difference between CBD and THC is that CBD is non-psychoactive, meaning that it does not make users get ‘high’. Participants in the survey said they used CBD mostly to treat ailments like insomnia, depression, anxiety, and joint pain.